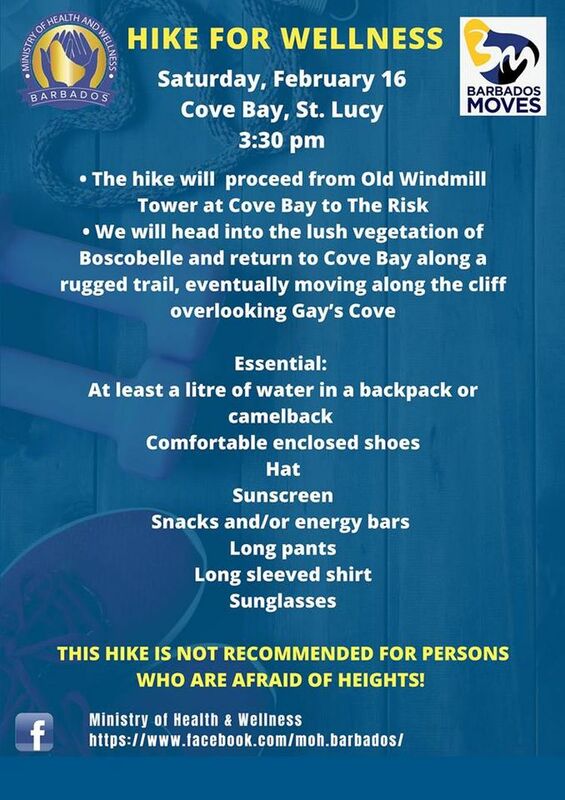 The Ministry of Health and Wellness presents the Barbados Moves Hike for Wellness. Sat Feb 16th, 2019, starting at 3:30 pm. Starting/Ending Point: The Old Windmill Tower, Cove Bay St. Lucy. 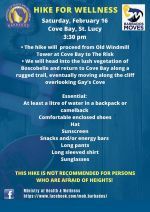 Route: From the Windmill, you will head into the lush vegetation of Boscobelle and return to Cove Bay along a rugged trail. eventually moving along the cliff overlooking Gay's Cove. This hike is not recommended for persons who are afraid of heights.